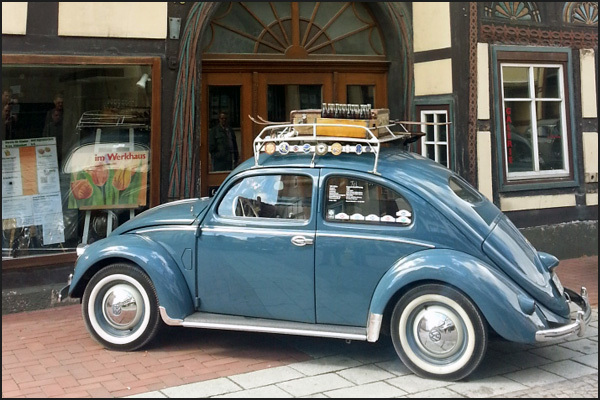 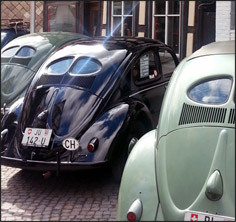 Beautiful medieval Hessisch Oldendorf in Northern Germany has become famous in the VW world as THE place for vintage Volkswagens & coachbuilts. 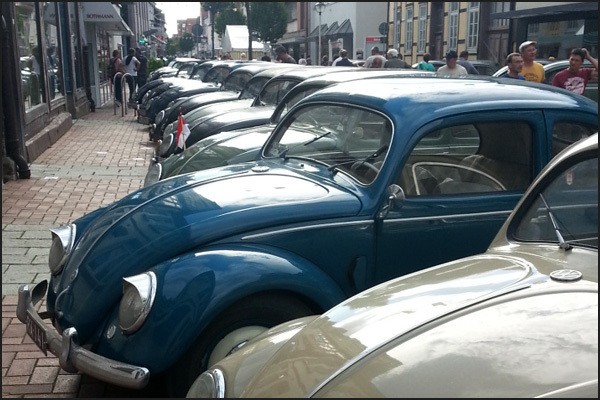 Its VW festival alternates every two years with Bad Camberg’s much smaller one further South, and attracts visitors and famous faces from the VW scene from all over the world. 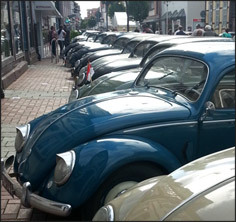 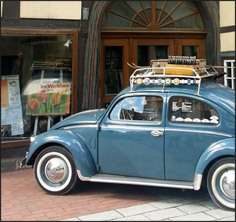 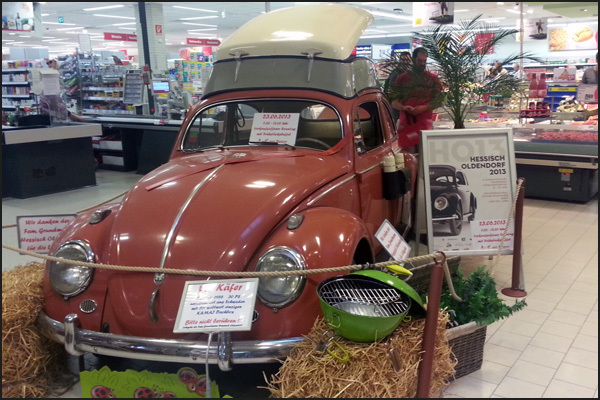 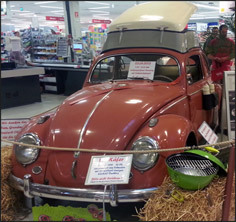 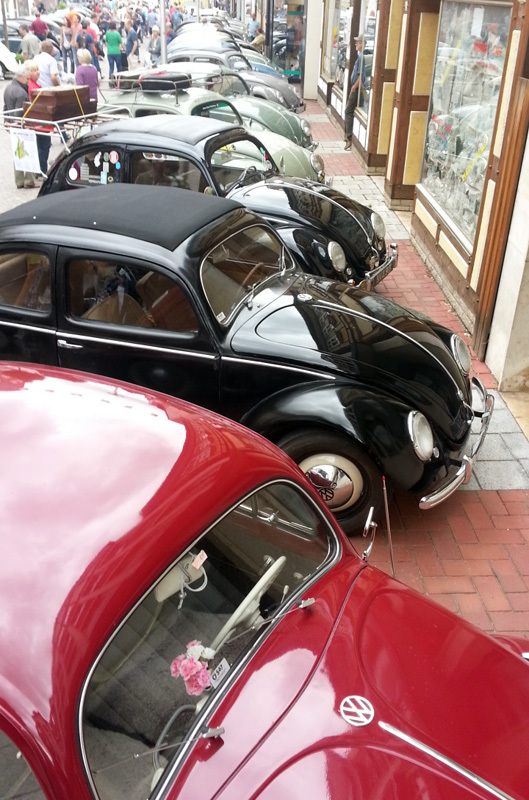 The show takes over the whole town of Hessisch – the pedestrianised town centre is given over to classic Wolfsburg tin for the 3 days with each street or square given over to a particular era, marque or vehicle, and the locals join in the spirit by filling their shop windows with VW memorabilia. 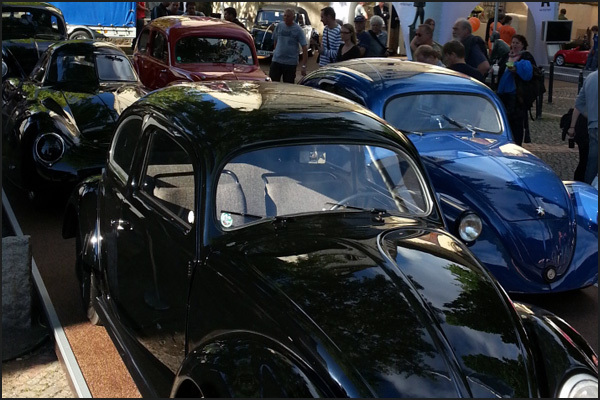 It’s a busy show, the streets are packed, hotels are rammed and street food vendors and pubs do a roaring trade. 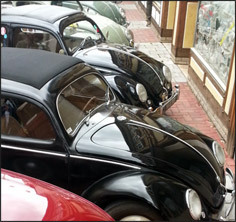 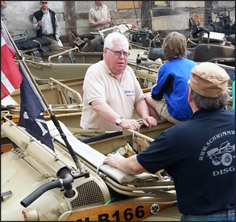 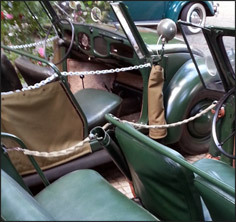 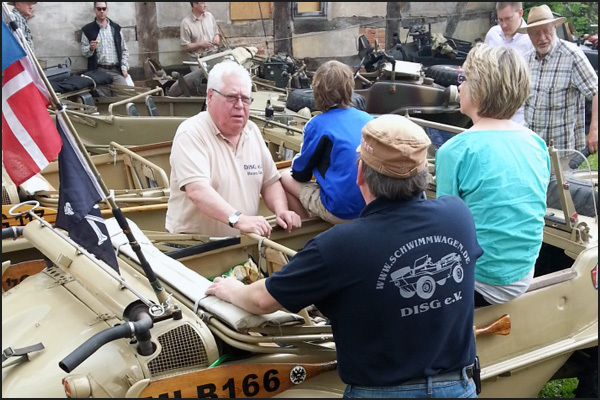 The whole shebang is put together by VW gurus the Grundmann family, who have become well known in recent years as the restorers of the ‘VW38’, the 6th beetle prototype ever built. 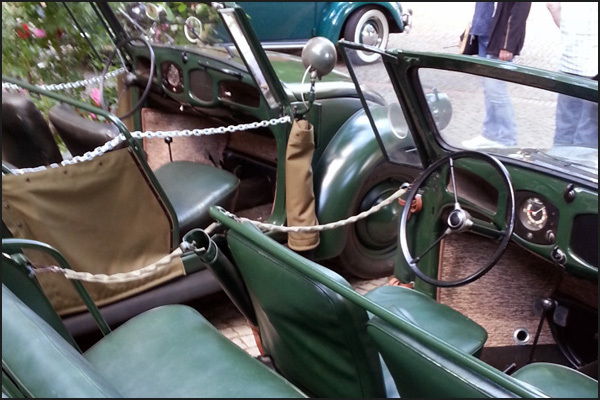 No.6 was on display alongside the awesome genuine Berlin-Rome race car and other very early cars. 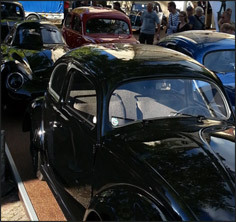 There are no Cal-Look or modified cars, nothing built after ’57, no drag racing or marquees with dance music or comedians, so this show obviously isn’t for everyone. 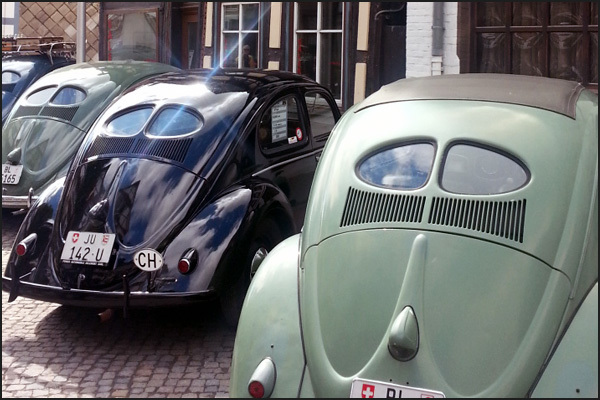 However if you’re into pure classic VW’s, Porsches & coachbuilts oozing with VW history, there’s nothing else like it on the planet, and I’ll be back in 4years time!